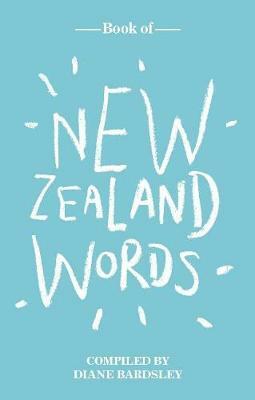 For the first time since Orsman's 1997 Dictionary of New Zealand English here are fresh New Zealandisms and examples of their use, from both historical and contemporary sources and all areas of New Zealand life. Elegant, expert and utterly up-to-date, the Book of New Zealand Words contains an informed and engaging introduction offering real insight into the development of New Zealand English, the distinctive influence of the Maori language, and the connections between society, the media, and the words we use. The author explores where we really get our words - from politics, food, sports and recreation to common and colloquial sources, and more. Specially illustrated by the artist John Reynolds, with works from his masterpiece Cloud and all-new page art that draws on Bardsley's definitions, the Book of New Zealand Words is also beautifully typeset and covetably designed. This is an indispensable reference and a choice gift for all those interested in words. Dianne Bardsley is Director of the New Zealand Dictionary Centre at Victoria University of Wellington, and lecturer in the School of Linguistics and Applied Languages. She has written several books and was a major contributor to the New Zealand Oxford Dictionary (2005) and the New Partridge Dictionary of Slang (9th edition).